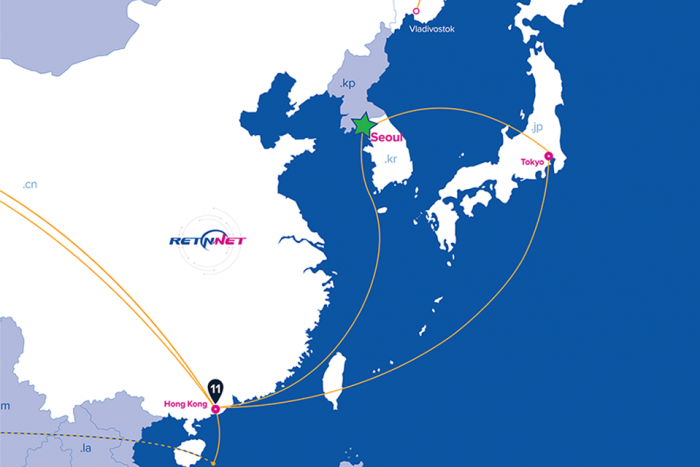 Hong Kong, 10 January 2018 – International network service provider RETN announced the launch of two new PoPs in Seoul, one of the leading business and financial hubs of East Asia. A Korean presence further expands RETN’s global network footprint in Asia where RETN has PoPs deployed in Hong Kong and Tokyo and a well-established operational office – RETN Hong Kong. By building out the global network infrastructure, while scaling and improving the network throughout Europe and Russia, RETN provides a geographically unique one-stop shop connectivity solution designed to meet each customer’s individual request. The 2 new PoPs, located in Dogok IDC and Gasan Data Center, are directly interconnected to RETN’s IP/MPLS backbone via Hong Kong and Japan using Juniper MX series equipment. “With the launch of our TRANSKZ route in 2016, we started to provide connectivity to Asia (Hong Kong) across our own network. Further network development in the West focused upon the needs of our Asian clients supports our growing role as the European Network of Choice for international companies based in Asian countries or customers with business interests in the region,” said Tony O’Sullivan, Chief Operating Officer at RETN, based in Hong Kong. “Our new PoPs in Seoul are up and running now, and by the end of February we expect to announce further extensive achievements about our network development in the region, providing RETN services to a vastly increased geographical base,” – concluded Tony O’Sullivan. RETN is one of the fastest growing independent European providers of IP Transit and network services, now with a unique capability to connect Europe and Asia. It is the only provider that operates its own end to end network through Western Europe, Belarus, Ukraine, Russia, Kazakhstan and onwards to the Chinese border, and is offering differentiated terrestrial connectivity between these major markets. Through recent investments in its Asia Pacific operations, RETN can now deliver IP Transit, Layer 1 and Layer 2 services from Hong Kong, Seoul and Tokyo with industry leading delivery times, lower latency, leveraging deep technical expertise and providing better reliability than traditional terrestrial and subsea routes.